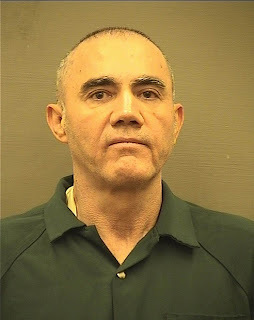 Damaso Lopez was sentenced in a Virginia courtroom Friday to life in prison. 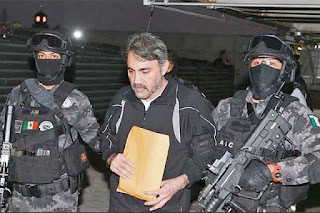 After drug lord "El Chapo" Guzman was snapped up by the Mexican military in 2014 and later sent to the US, Damaso Lopez Nunez stepped up to fill the top chair. 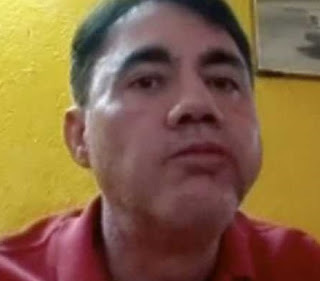 His ascension to the Sinaloa cartel throne lasted until May of 2017 when Nunez was himself captured and sent to the U.S. He cut a deal and pleaded guilty to cocaine trafficking charges. 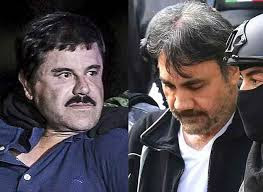 Joaquin "El Chapo" Guzman, Damaso Lopez Nuñez Nunez admitted being a cartel executive and was involved in the Sinaloa drug branch for 15 years. 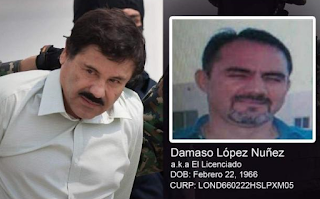 Nunez engineered both of El Chapo's escapes from Mexican prisons, was deeply involved in the Sinaloa Cartel's drug trafficking, and knew the organizations deepest secrets.